Robert is a PhD student in the archaeology program. His research focuses on using evolutionary ecology, cultural transmission theory, agent-based modeling, and geospatial analysis to address questions in Polynesian prehistory, particularly those relating to spatial habitat use, subsistence, and divergent modes of social and cultural evolution. 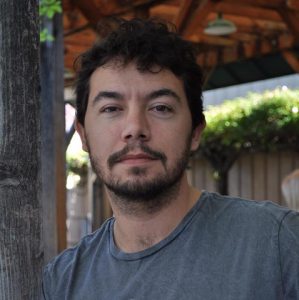 His dissertation research focuses on the evolutionary and ecological origins of Rapa Nui (Easter Island) monument construction using remote sensing and geospatial modeling techniques. He has participated in field and laboratory research on Rapa Nui (Easter Island), Hawai'i, and Samoa.